Start time: 11:30 AM (in Saskatchewan). This event is hosted in Vancouver. Please take time zone differences and changes into consideration prior to registering and when reviewing webinar login and access information. You will receive webinar login and access information, via email, from the webinar host 24 hours before the webinar date. Wendy will share her latest outstanding research results on this technique that helps people create a more positive experience of change, and discuss pilot studies currently being conducted within organizations using this technique. Attendees of this session will be offered a VIP price for The Calm Monkey's Dealing with Change Toolkit'. Wendy Quan, Founder of The Calm Monkey, is the industry leader in Mindfulness Meditation Facilitator Training and Certification, and is the first to combine change management techniques with mindfulness. The Dealing with Change Toolkit is Wendy’s latest evidence-based resource that organizations can give to their employees so they can help themselves mindfully through difficult change. As an industry pioneer, Wendy’s award-winning, published white paper "Meditation – a Powerful Change Management Tool" is the case study of how she achieved 25% of Pacific Blue Cross’ employees attending mindfulness sessions and boosted change resiliency through a major transformation. Results from the "Dealing with Change Mindfulness Meditation Study" unveiled impressive results in helping individuals through difficult change. Wendy's corporate career included being the change manager at Pacific Blue Cross, IT and Human Resources. Her cancer journey led to her life’s purpose: “To help people create a better experience of life through mindfulness meditation”. All login information will be sent to you, via email, from the webinar host one day prior to the webinar. Both registration and payment are required for every non-member attending this webinar. Questions about registration or receipt can be directed to cwintermute@cphrsk.ca. Questions about registration or receipt can be directed to Charmaine Wintermute, Learning & Member Relations Manager, CPHR Saskatchewan, at cwintermute@cphrsk.ca. If you are unable to attend a webinar for which you have registered, you may designate an alternate attendee, however member/non-member rate differences will apply. Cancellation notice for FREE registrations is required 72 hours prior to the event to avoid a $25 late cancellation fee. Cancellations for paid registrations will be accepted up to 72 hours before the event for a full refund. After that time, no refund will be given and if payment has not been received an invoice will be issued. 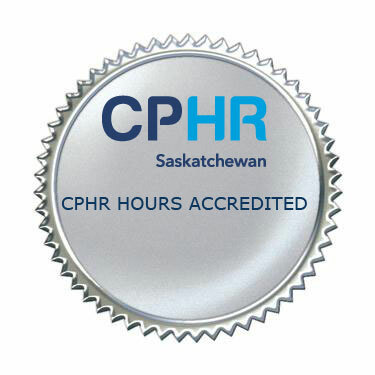 All substitutions and cancellations must be confirmed BY PHONING CPHR Saskatchewan directly at (306) 242-2747.